Home Events Guide Singapore Things to look forward to in September: Colour Run Night, World Food Fair, and more! 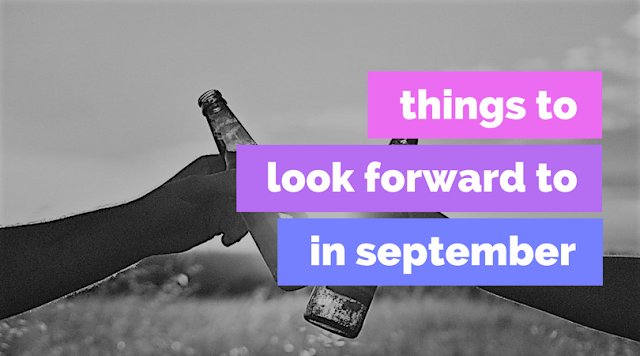 Things to look forward to in September: Colour Run Night, World Food Fair, and more! It's almost the start of a new month yet again. We help you to round up some of the high key events you can look forward to in September because we know, time is a luxury for you. Read on! Bring the kids to Singapore Philatelic Museum for a day of fun in the magical realm through stamp collections featuring fairy tale illustrations. Engage your senses with interactive and hands-on exhibits! Indulge yourself in 4 days of gastronomic heaven with over 200 local and international food and beverage establishments! Experience the most comprehensive and sumptuous delights from all over the world right where you are. Various events are happening in this festival! Gather your family and friends and give back to society. Ticket proceeds from various Marina Bay Sands attractions will be donated to various beneficiaries. Off the track, events hit with all new levels of excitement. International acts like Ariana Grande, Calvin Harris and The Chainsmokers will make you dance the night away. Experience a star-lit party that features glowtastic colour zones, and massive neon colour throws. This year's colour run is not the usual day time run you might have experienced in the past years! There are also cultural and religious events that are happening this September. Learn more about what our fellow neighbours are doing! This is recounted in the story of God commanding Ibrahim to sacrifice his son Ismail (Ishmael), a commandment that Ibrahim responded to with obedience. God stopped him and provided him with a sheep to substitute as a sacrifice, instead of his son. So what do your neighbours do on this day? During this period, Muslims dresses in their finest clothes and congregate in mosques to listen to sermons and offer their prayers. But the most important ritual observed here is that of 'korban' (sacrifice). Worshippers contribute live sheep, lambs, goats and cows, which are slaughtered by a quick slit to the jugular as prayers are recited. This act reminds worshippers of the willingness of Prophet Ibrahim to offer up even his own flesh and blood to God. The animal is then cleaned and the meat carved up and distributed amongst the needy and orphans. Just as the Americans have Halloween, the Chinese have the Hungry Ghost Festival when the souls of the dead are believed to roam the earth. So what do your neighbours do during this period? Metal bins scattered around housing estates in Singapore are specifically provided to contain the stacks of hell money and paper offerings, such as cars, watches and jewellery, that are burned by relatives to appease their deceased family members – taking care of their material needs even in the afterlife.